First things first, I'm quite lazy when it comes to hair care. I rarely try new products and usually stick to what I know. I have long hair which is relatively thick but not as thick as it once was. I recently changed my shampoo to Garnier Ultimate Blends 'The Marvellous Transformer' with Argan and Camellia Oils because my hair was looking quite lack-luster and dry. Since changing to this shampoo, I've definitely noticed a difference in my hair, it definitely isn't as dry as it was. This shampoo leaves my hair feeling exceptionally clean and extremely soft. The conditioner I am currently using, and have been using for a long long time now, is the John Frieda Full Repair Strengthen + Restore, I really like this conditioner, it leaves my hair feeling so smooth and de-tangled. However, as much as like this conditioner, I am looking to try other ones so if you have any recommendations let me know in the comments below! Despite being quite lazy when it comes to hair care, I always make sure I use a heat defence spray, my favourite is Phillip Kingsley's Daily Damage Defence - I never used to be fussy about what heat defence I used but since trying this one I've definitely noticed a difference in the breakage of my hair so couldn't imagine using a different one. 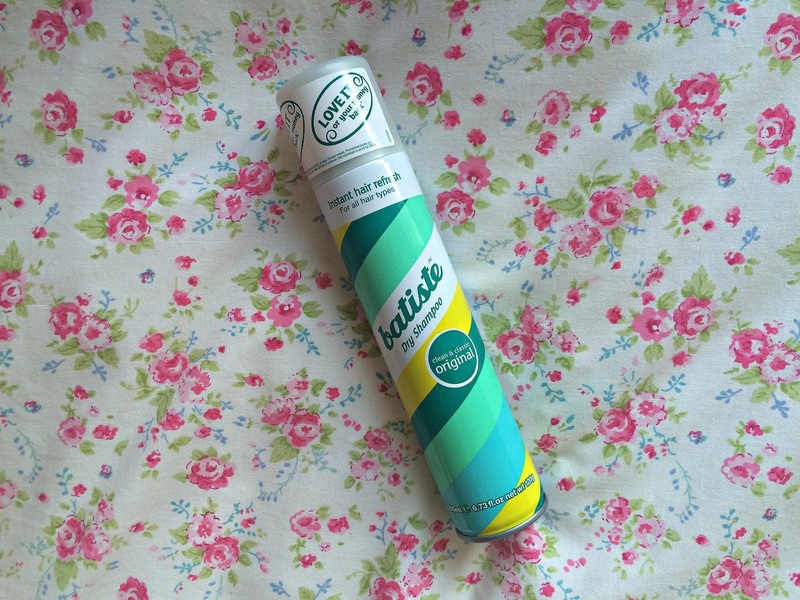 On days when my hair is feeling lack-luster and greasy, I couldn't be without my Batiste Dry Shampoo, it is incredible and so cheap! It leaves my hair looking refreshed and clean. Perfect for days when I'm in a hurry. And now for the extra's. I love Charles Worthington Texturising Spray it instantly gives my hair volume and bounce; what I love about this spray is it isn't greasy and doesn't clag your hair up - at the end of the day it easily brushes out. 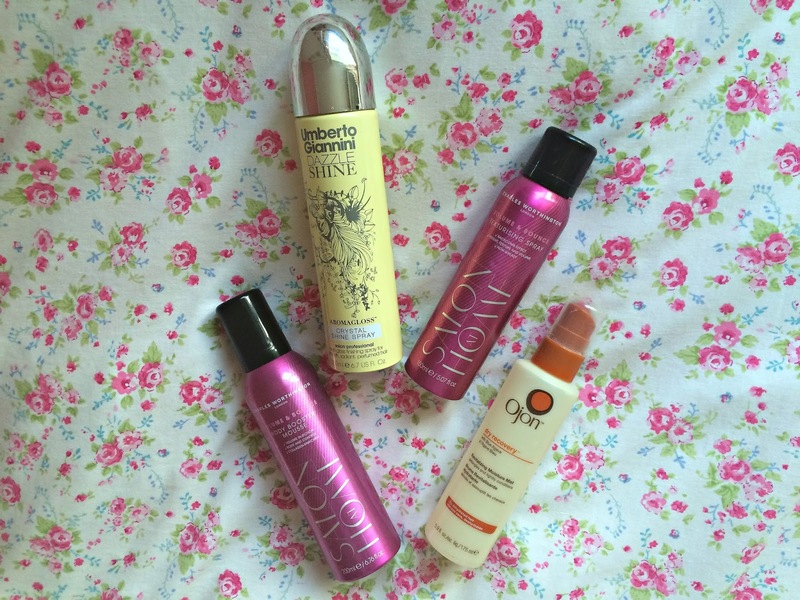 Another favourite of mine is the Umberto Giannini Dazzling Shine Spray; one thing I like is my hair to look shiny and healthy and this product definitely does that. From time to time, when my hair is feeling a bit on the dry side - especially the ends - I like to spritz some of the Ojon Dry Recovery to give it an instant boost of moisture. The final product in my hair care selection is Charles Worthington Mousse, I don't use this all of the time, usually only when I'm going on a night out for a bit more volume and staying power. 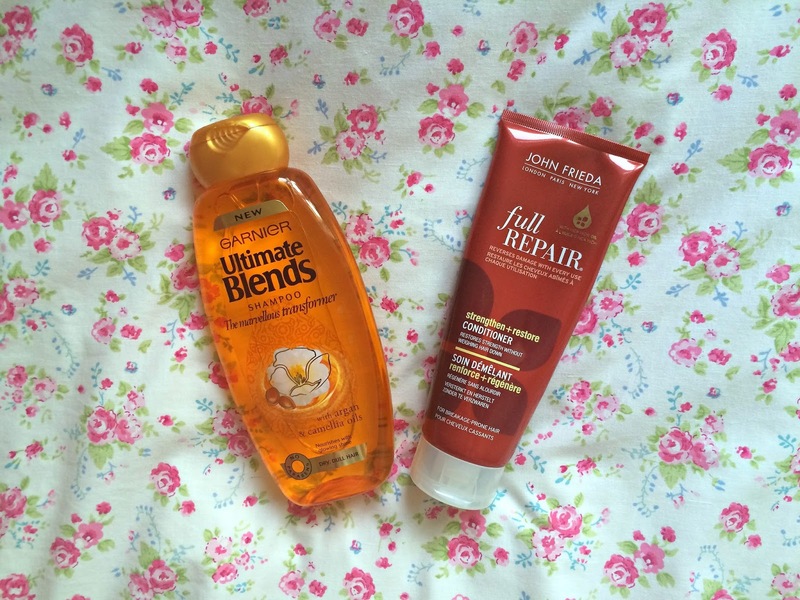 I definitely want to try and add a hair mask to my regime, can you recommend any? Also, what hair care product is a must have for you? 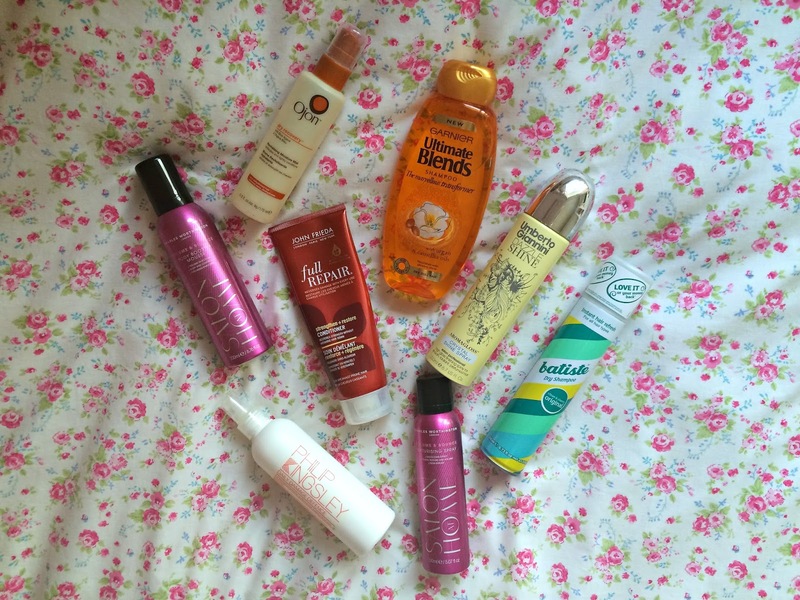 I couldn't live without that dry shampoo!